It had happened again. Yet another delusional man claimed to be the Messiah. Jonathan moved with the crowd, his anger pulsing with his heartbeat. If only Israel was not controlled by Rome. This radical man would not have been allowed to teach as long as he had, Jewish law would have stopped him long ago. Yeshua of Nazareth had claimed to be so many things, like the son of God, King, and Messiah. “Blasphemer!” someone shouted as Yeshua was dragged out onto the stage, bloodied from the whipping he had received. Pilate stood not far away looking across the crowd. Jonathan's hands balled into fists and he felt anger surge within him. They should not have to be groveling to a Roman ruler to carry out justice. Yet, as long as this blasphemer died, justice would have been done. He saw that his anger was mirrored on many of the faces in the crowd. He had seen a man or woman here who supported this Yeshua, but they had been silenced hours ago. He peered around trying to look for one face. Somewhere in the crowed, he knew that Tabitha would be there with her family. He had seen them earlier, but the press of people had separated them. The anger ebbed a little as he thought of Tabitha. They had become betrothed a few months before, and he was grateful. She was a devout and sweet girl who would make a good wife. If Adonai smiled on them, they and their children would see the restoration of Israel. Jonathan shook his fists and yelled along with the other men in the crowd at Pilate’s words. How could he find no fault with this man? “He should be crucified,” someone next to him whispered. Jonathan had heard this spoken of before, but now he allowed his anger to carry him away. He shouted along with the crowd, his anger burning. “Why? What crime has he committed?” Pilate asked. Jonathan was barely able to hear the words between his own shouts, and he only shouted louder when he did hear. Pilate would not understand; the man was Roman, not a Jew. He had no fear of God in his heart. Justice must be served. This Yeshua of Nazareth must be punished. Suddenly, everyone around him grew quiet. He felt almost as if he had plunged beneath the water, so sudden and heavy was the silence. Pilate washed his hands in water and held them up toward the crowd. The silence ended with a wave of noise that started from the back of the crowd. The cry was picked up and repeated over and over again. Jonathan heard it and picked up the chant. The Romans grabbed the troublemaker, Yeshua, and dragged him away. Jonathan cheered and moved with the crowd, his blood pumping. This was justice. Adonai was at work, even through these Romans. He looked up and saw Tabitha in the crowd. He moved toward her, moving against the press of people. Her father and brother were with her, yet she still looked frightened. It was not surprising, the crowd, having had their way, were becoming angrier and violent. “Are you going with them?” Tabitha shouted above the crowd. Jonathan nodded. Tabitha had no doubt seen her share of crucifixions. Rome had often lined roads with crosses when rebellion had come. Yet it was a sight that, if a woman could avoid, she should. Without another word, he moved along with the crowd, letting the tide of people carry him along. There were a few who sympathized with this man, Yeshua, and Jonathan was ashamed. This should be something that all Jews were united against! Blasphemers like this should not be tolerated, yet there was a woman crying over Yeshua’s fate. Someone spat on the woman and shoved her aside. While Jonathan was happy to see justice done, the blood and horror of a crucifixion was sickening. This was never what it was supposed to be like. The Jews were supposed to stone people like this, not have them die like this, exposed to the world without any clothing, struggling for each breath as blood poured out of their body. He looked at the ground as men taunted Yeshua. All the anger had evaporated from him when he had watched Yeshua offer no resistance as the men took his clothes, and then he had lain down on the cross himself, without fighting. Shouldn’t he have fought? Shouldn’t he be angry and shouted at the Romans? Jonathan’s head shot up as a cry escaped Yeshua. 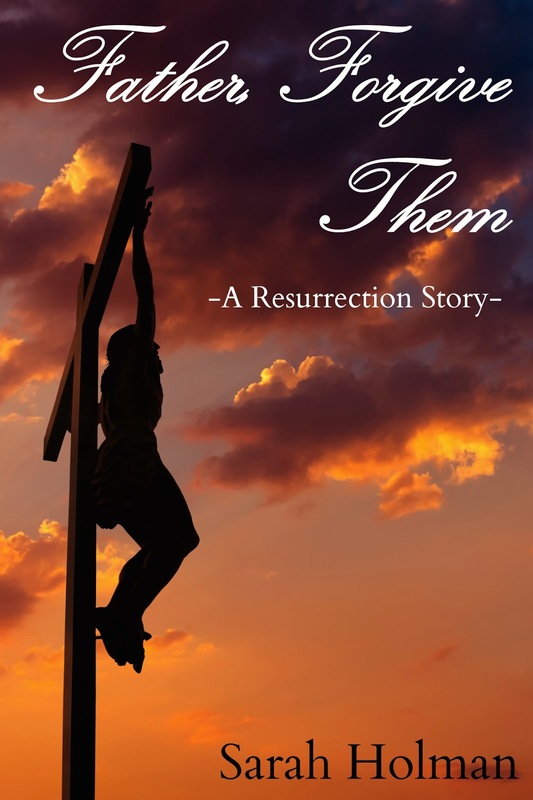 “Father, forgive them, for they don’t know what they are doing,” Yeshua cried out. Jonathan winced and looked away. The words disturbed him deep within himself. Who was this Yeshua? 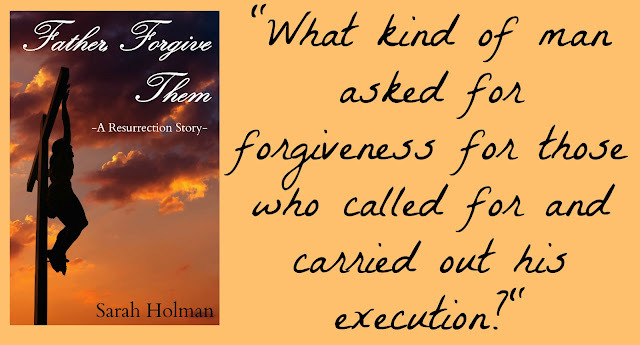 What kind of man asked for forgiveness for those who called for and carried out his execution?